Eight wallpapers for desktop appeared in the new section of file archive Wallpapers. 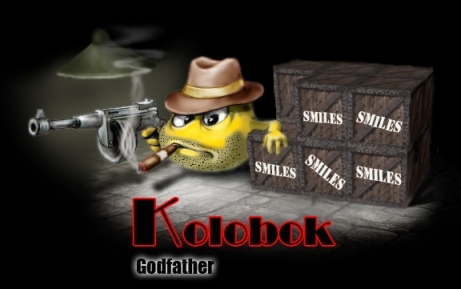 There is the Godfather of koloboks painted on them, his image was painted by Fool, whom I rate one of the best animators (http://www.foolstown.com/). Now every admirer can contemplate the main kolobok on his/her desktop. I hope, the owners of “bourgeois” resolution 1600х1200 can correct the pictures themselves. If they can’t do it, they should inform me about it. p.s. Thanks, Fool, you are a real friend! Render time: 0.1331 sec, 0.0027 of that for queries. DB queries: 20.